& many rides in between! All brands welcome! This will be a two night Weekend Trip up to Cambria with lots of riding on Pacific Coast Highway! 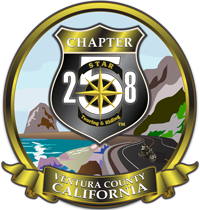 We will depart on Friday late morning from Chevron in Camarillo, have dinner on the way up and arrive in Cambria that evening. It should be a beautiful ride up the coast, and arriving before sunset. To pursue, promote and protect the interests of motorcyclists; to develop better and more enthusiastic relations between the general public; the media, and the operators and riders of motorcycles; to encourage rider participation in events; to promote rider safety and camaraderie among members; to promote organized events; and in general, perform them in a lawful manner.